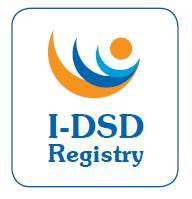 The I-DSD Registry is managed and administered by the joint I-DSD/I-CAH Steering Committee. The Steering Committee meets periodically and is responsible for the overall direction of the initiative. The I-DSD Registry also has a Scientific Panel which reviews new research proposals and reports to the Steering Committee. Day to day management of the I-DSD Registry is undertaken by the Project Management Group. Members of the Steering Committee and the Scientific Panel have fixed terms. If you would like to join the Steering Committee or the Scientific Panel, please join us as an I-DSD user or subscribe to our newsletter and look out for announcements.